Electronics Costs > How Much Does a Game Boy Cost? How Much Does a Game Boy Cost? 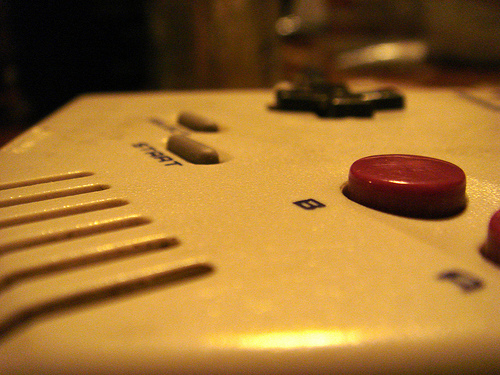 The Gameboy, manufactured by Nintendo has been around since 1989. Throughout the years, the Gameboy line has transformed greatly. Some of the models out there is the Game Boy Pocket, Advanced and Pocket. How much are typical game boy prices? The very first original Nintendo Game Boy can cost anywhere from $20 used to $150 new since it is rather rare to find new. The Game Boy Advanced SP comes in various colors and ranges anywhere from $160 new to $40 used. The Game Boy Micro costs anywhere from $80 to $100. An older model, the Game Boy Color, can range anywhere from $35 to $80 used. To purchase new, it’s rather rare and can cost up to $500. The Game Boy Advance comes in many colors. The White model, for example, comes with a price tag ranges from $35 to $75 used. The Game Boy Pocket can cost anywhere from $20 to $85 used. What is going to be included in the packaging? Depending on the model, most consoles will come with a wall charger. Some kits, depending on the model, may also come with a game. Newer models are going to come equipped with some sort of warranty that can last upwards of 12 months. Larger and thicker compared to most, the classic version has a screen that takes up the top portion. Lower part will contain the controls and speaker. The backside will accept the original game boy cartridges. It has no backlight, 4 channel audio, 4.19 MHz 8-bit custom Sharp LR 35902 processor and 8 kB VRAM. It will take four AA batteries. Smaller than the classic, the pocket is more compact. With a lighter and thinner design, the screen and controls are almost in the same spots as the classic. It has no backlight, 4 channel audio, 4.19 MHz 8-bit custom Sharp LR 35902 processor and 8 kB VRAM. It will take two AAA batteries. Designed as the first game boy to play games in color, this model has a faster processor. The controls remained the same. It has no backlight, 4 channel audio, 4 or 8MHz 8-bit processor and up to 32kB of RAM. This game boy will need two AA batteries. Wider and larger than the Color and Pocket, the Advance allows you to use both hands on the right and left-hand side of the screen. The screen is located in the middle. It has no backlight, six-channel audio, a 16.8 MHz 32-bit ARM7TDMI processor and 245 kB WRAM. It requires two AA batteries. Similar to the Advance, the SP has a collapsible screen for protection. It has a frontlight on/off backlight, six-channel audio, a 16.8 MHz 32-bit ARM7TDMI processor and 245 kB WRAM. It has a rechargeable 700 mAh lithium-ion battery. The newest model out of all game boys, the micro is lighter and sleeker compared to most. Able to fit in your pocket, this is the smallest out of all of them. It has a frontlight on/off backlight, six-channell audio, a 16.8 MHz 32-bit ARM7TDMI processor and 245 kB WRAM. It has a rechargeable 460 mAh lithium-ion battery. There are many accessories you’re going to more than likely have to purchase such as a car charger and a case . In order to play games, the games will have to be purchased separately as well. These games prices can start at $1 used and go up from there depending on the title you want to purchase. Vintage game boys, such as the original one, can cost more due to the rarity of the item. To protect your investment, consider purchasing an extended warranty through companies such as SquareTrade. That way, if something does happen, you’ll be protected. The best selling game for the Game Boy? Pokemon Ruby and Saphhire; it sold 13 million combined. Consider purchase buying your games used. Websites, such as Amazon and eBay, have a great selection for a low price. Also, consider purchasing the console used. Older models are going to cost a lot less, sometimes up to 70% off the MSRP. When purchasing used, just make sure that you do your homework to ensure that the console works properly. Since some of these models are older, you will find that you can get great deals at local garage sales. Also, check out various flea markets in the area to see if you can snag a packaged deal.